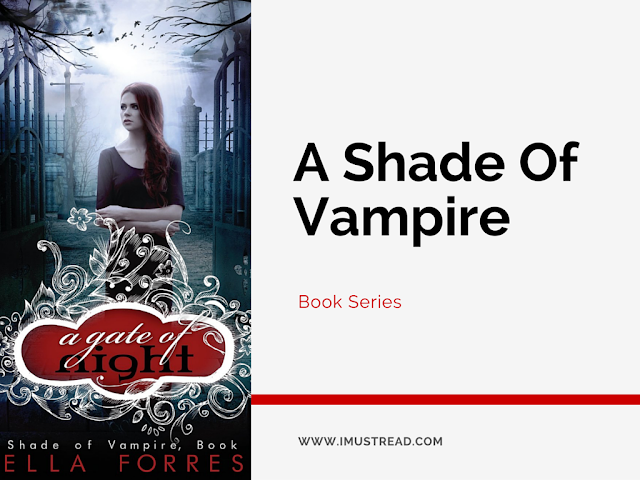 A Shade of Vampire Series by Bella Forrest is a best selling vampire romance story with lots emotion, drama realism. Sofia Claremont has a strong female character in the book that many female reader would appreciate. Unlike Twilight this story has vampires that have characteristics and emotions like human. The story of the series is targeted towards teen population however any matured adult who likes paranormal fantasy/romance will also enjoy it. Below are the most interesting books in this series. A beautiful sensitive story that is highly exciting and utterly enthralling. The story has numerous defining moments with unlikely set of heroes. The story is perfect blend of fantasy, suspense and romance. This is the sequel of the first part of the same name. This story is about the fight of the characters in their external and internal battles. This engaging story is highly recommended if you like vampire romance. This is the third in the series and it does not lose the pace as it pass along the road. The clear narration and intense story will keep you at the end of your seat. There is no difference in the entertainment from its prequels. This is an amazingly stunning book with great plot that will not allow you keep the book until completed. This is the sixth one in the series and it holds the same intensity in the story. The twists and turns in the story will make you jump into the book for sure. This seventh book is curated very nicely by the author and the characterization is done so nicely that they finally reach their destination at the end of their amazing journey. The twist and turn becomes ten times in the tenth book of the vampire romance series from Bella Forest. Every page brings in surprise for the readers and it starts from where the ninth book ended. Bella Forest is back with a bang yet again. In this story Caleb and Rose try to get back to their shade but their obstructions are sunlight, transport and lack of funds. This 12th installment of the Shade series continues with twists and turns. A new character is being introduced by the author in this book that will blow your mind away for sure. Did you read this series? Which one is your favorite? Please share your thoughts with us in comments.